OK… This is serious! I want you to stop what you are doing… Stop watching random YouTube videos about cats  and listen up! These are the 10 MOST COMMON GRAMMAR MISTAKES that English learners make! When I taught English at universities in Australia, even advanced level English learners made these mistakes! We HAVE TO fix them! That means you and me! You are definitely making these mistakes (or at least SOME of them!) and I want to help you fix them! I’m CHALLENGING YOU to join the mmmEnglish Challenge – take the time to study with me. Learn which areas of English grammar you need to work on! 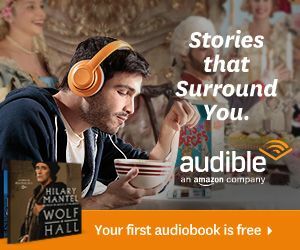 Hello I’m Emma from mmmEnglish! Oh my goodness, thank you so much for celebrating with me last week. It was so much fun! I was thinking that I don’t really want to stop celebrating just yet. So I’ve got something super special to share with you today. During May, this month, mmmEnglish subscribers will be able to join the mmmEnglish grammar challenge. And I’m inviting you to join the challenge to improve your English with me and give you the chance to win some really fun mmmEnglish prizes including mmmEnglish t-shirts, mmmEnglish courses and a chance to win some conversation practice with me. It’s super easy to join and a really good idea because just by participating, you’ll be improving your English skills. So make sure you subscribe, that’s the first step just down there and then keep watching this video to find out how you can join the challenge. 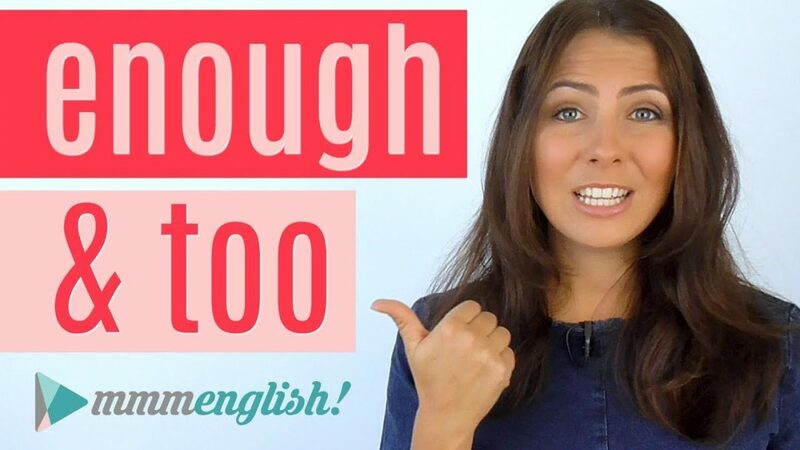 In this video I’m going to share the ten most common grammar mistakes that English learners make. When I’m reading your comments below my videos and I’m replying to your emails, I always notice the same mistakes that you consistently make. And through years of teaching English at language schools and at university, these are the same mistakes a whole range of English learners make from beginners right through to even advanced level students. They’re just really common mistakes that you keep making again and again sometimes because, you know, the grammar is difficult to understand but sometimes because these mistakes have never been properly corrected for you so they become bad habits. And if you don’t recognise them, if you don’t see the mistakes that you’re making, then you can’t fix them, can you? then you can’t fix them, can you? I want you to start seeing the mistakes that you’re making. I want you to see it in your writing so that you can correct yourself. And then when you start doing that you’ll naturally be correcting yourself when you speak. The mmmEnglish grammar challenge will help you to practise and improve all of these mistakes, the ones that you sometimes make. So once you watch this lesson, make sure you sign up, join the challenge, get your friends to join too! A little friendly competition is a good thing so that we can all have some fun together and improve your English skills while we’re doing it. So what are the 10 common grammar mistakes that English learners make? So you probably know that there are two types of nouns in English – countable and uncountable nouns. Countable nouns are easy! You can count them. And when there’s more than one, the noun becomes plural, we add an S.
The noun becomes plural when there’s more than one and we can use the singular articles a and an when we’re talking about just one of them. But uncountable nouns are different. THey don’t usually have a plural form. You can’t use a singular article with them and you need to use quantifiers to help explain how much of the noun there is. The way that you use uncountable nouns in English sentences is completely different to countable nouns. Let’s just compare apple, a countable noun, and advice, an uncountable noun. Now I have an apple for you. I have a piece of advice for you. How much advice do you have? I have a few apples for you. It’s not just the noun that’s important, the type of noun affects many other words in your sentence. So using the wrong words with the uncountable noun in an English sentence is a really, really common mistake. And it’s easy to do without realising that you’re doing it. Perhaps you don’t realise that a noun is uncountable. Now these are also really common English mistakes. Difficult to master because there are no rules that you can learn to logically explain why one verb is regular and the other is not. 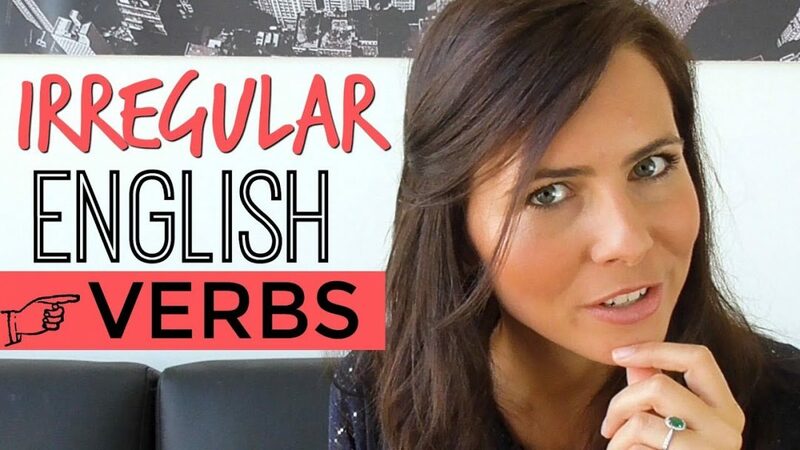 Even though there are fewer irregular verbs than regular verbs, many irregular verbs are really, really common verbs. You can’t escape them, you need to learn them. Subject-verb agreement is as simple as it sounds. 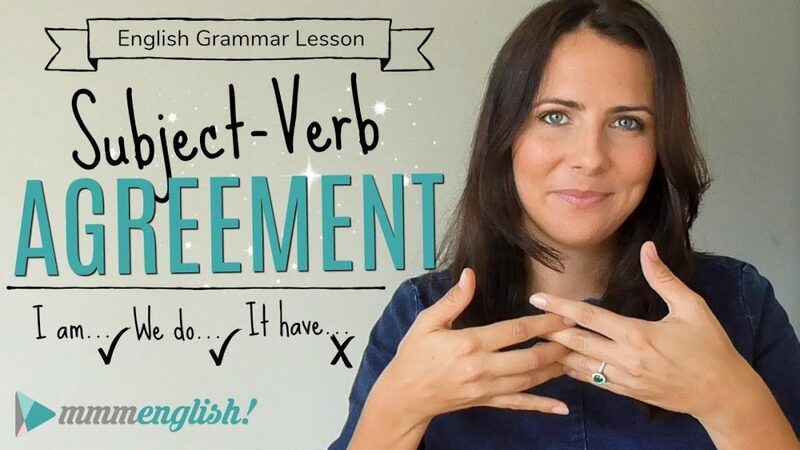 The subject and the verb in English sentences must agree, they must match. So why is it such a common mistake in English? Even my advanced English students sometimes make these mistakes as well. And it’s simply because they’ve got into some bad habits. They don’t realise that they’re making these mistakes. Paul is looking out the window. John and Tim are looking out the window. Do those students like to eat bananas? Does this student like to eat bananas? These mistakes are very easy to fix. Bad habits can be fixed but you need to see them. So I’ll explain more about this in detail during the mmEnglish grammar challenge. Yes, the three main auxiliary verbs in English: do, be and have. They’re very important and learning a little more about them is going to help you improve your English grammar a lot because the relationship between an auxiliary verb and the main verb in an English sentence is very clear and simple. The auxiliary verb do appears in the simple tenses. The auxiliary verb be appears in the continuous tenses and also in the passive voice. And the auxiliary verb have appears in the perfect tenses. This is one part of English that is really consistent. So if you’re making any of these mistakes, we can fix them easily. So join me for the challenge and learn more about auxiliary verbs and fix these common grammar mistakes! Which one should you use? When and why? Articles must cause the most headaches for English learners. The is the definite article, a and an are indefinite articles. The difference between definite and indefinite articles is the difference between talking about a specific noun and a general noun. If you asked me “Can you pass me a pen?” That manes any of these pens, not a specific one. But if you asked me “Can you pass me the blue pen?” that only means this pen, none of the others. But sometimes you don’t need to use an article at all. So it’s easy to see why articles are some of the most common mistakes that English learners make. The good news is that there are some simple rules that you can follow to choose the right article. And I’ve got a few tips that I want to share with you during the challenge to help you learn a little bit more about articles and how to use them. Words like in, on, at, by, with, for – you get my point. These words, they help to give information about time, location and direction in English. Just like articles may also cause a few headaches, sometimes the same preposition can have different meanings depending on the context. If your keys are in the car, the meaning is different to at the car. But if you’re in school, the meaning is pretty much the same as at school. I had a coffee at Helen’s. That means at her house. I had a coffee with Helen. That means we had a coffee together but it could have been anywhere. These tiny little words can influence the meaning of your English sentence significantly. But they are a challenge because the rules and reasons for using them are not always clear. Plus, you could be thinking about the correct preposition that’s used in your own native language but they don’t translate directly into English and this can be a problem too. Anyway, to get them right you need to practise and that’s exactly what we’ll do during the challenge. We’re going to talk about word order in questions. So asking questions, giving answers. It’s the basics of a great conversation in English – in any language, really. But one common mistake is using the wrong word order when you’re asking questions. We can go shopping this afternoon? Word order in English questions is a common grammar mistake. I see it a lot and I hear it even more often. And another thing, different types of questions in English use different intonation so getting the structure and the intonation right is important if you want to sound natural like a native English speaker. The good news is that English questions are really consistent, they follow a clear structure. Question word, auxiliary verb, subject and your main verb. If you remember these words in this order, your questions should always be correct. Now, this tense is a challenging one. There’s the present perfect simple and the present perfect continuous. You can also use the words for and since with these tenses to help you express information about time. Now, the structure of a present perfect sentence is probably not the difficult part. You probably know that there’s the subject, the auxiliary verb have and the main verb in past participle form. But in the present perfect continuous, your past participle verb is been and it’s followed by a verb -ing. Don’t forget to conjugate that auxiliary verb depending on the subject. So it’s confusing because this tense is about the past and the present at the same time. It connects something that happened in the past to the present moment and there are a few different ways that this can happen in English. So although it’s complicated, it is a really commonly used tense in English so you need to understand it. If you join the mmmEnglish challenge, I’m going to explain how to use this tense in more detail and help you to practise using it as well. Another mistake, the difference between the past simple and the present perfect tense. The present perfect is also about the past which is confusing in itself, right? So why not just use the past simple to talk about the past? To understand when to use the past simple and when to use the present perfect tense, you need to think about time. Finished time and unfinished time. Last week is a good example of finished time. It’s complete, it’s over. But this week is unfinished, it’s an example of unfinished time, there’s still more of this week to come, it’s not finished yet. So expressions of time are really important when you’re using these two different tenses. Yesterday, last week, last month, 1991. These are all examples of finished time. Time that’s complete. So you would use the past simple. But when you’re thinking about a time period that is unfinished, like today, this week, this month, my life, use the present perfect. Again, I’ll go over this with you during the challenge. I wonder if this is a mistake that you sometimes make – not all the time but sometimes. When do you use adjectives that end in -ed and -ing? There is a big difference between “He looks bored.” and “He looks boring”. There doesn’t seem to be much difference between these adjectives but using them incorrectly in your sentence completely changes the meaning. Luckily, there are some simple rules to help you remember which one is the right one to use. Now I want to help you improve your English and fixing these ten common mistakes is a really good place to start. So come and take the mmmEnglish challenge with me. I’ll explain all of these important English grammar points so that you can understand them and then you’ll be able to take a short quiz to check what you’ve learned. Joining the mmmEnglish challenge is really easy. Step 1: Just subscribe to this channel. To join the challenge, you must be an mmmEnglish subscriber. If you’re not a subscriber already, just click that red button down there. Easy! Step 2: Go to this website. To join, you need to sign up and pay a dollar. Also really easy! Step 3: Complete the ten lessons. Yeah there are ten lessons about the ten most common mistakes that English learners make. 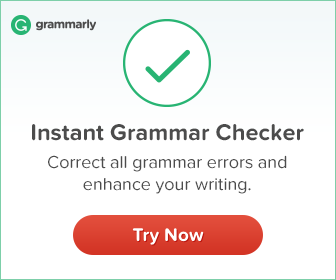 I want you to fix these mistakes in your English, so I’ll explain each of the grammar points and give you lots of examples and then you’ll check your knowledge with a short quiz at the end of each lesson. So you’ll study with me and improve your grammar skills and test your skills. It’s going to be super fun, get your friends to join in as well and make sure that you complete all of the lessons by the end of May. If you do that, you could win one of the many mmmEnglish prizes. We’re giving away t-shirts, English courses and even conversation practice with me. So head over to the website to sign up – let’s do this! Do it now! I’ll be back here next week on Youtube with another lesson. Bye for now! This could be good to build our skills in English and we are thankfull to your organised servise. Is this sentence correct based on question word order? and why? I love your channel!Thanks for your tips! Hi Emma,I don’t have access to YouTube may you send to my email? I’m Arab ,I start lerned English tow yers ago ,when i saw your program i feel i can learn beter . Great job.These mistakes are very common among non native.your hard work makes it easy for us.You made it easy but British will make it a headache while US makes it pain in the stomach. Its informative & helpful lesson.Thanks a lot madam.